Game 128: Chicago Cubs come back to beat L.A. behind two Kris Bryant home runs. The Chicago Cubs scored once in the eighth inning, once in the ninth, and twice in the 10th inning to send the Dodgers to a 6-4 loss. The box score is here. Clayton Kershaw had some strong thoughts about the Dodgers trading A.J. Ellis to the Philadelphia Phillies. So do several Dodger teammates who posted their thoughts on social media. 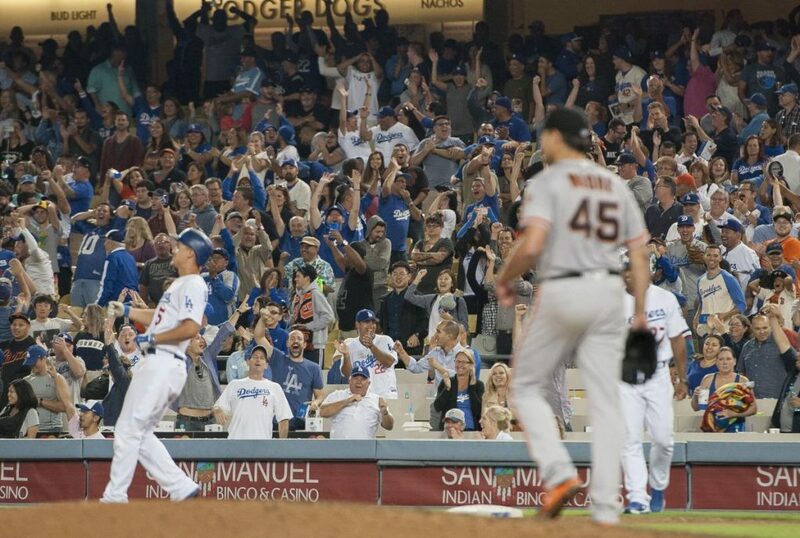 Game 127: Giants lose no-hitter, Dodgers lose a game and a clubhouse leader. The Dodgers traded A.J. Ellis to the Philadelphia Phillies on Thursday afternoon. By Thursday night, it appeared they still had not recovered, as Matt Moore took a no-hitter into the bottom of the ninth inning in the Giants’ 4-0 win. The box score is here. Watch Vin Scully’s call of Seager’s single here. 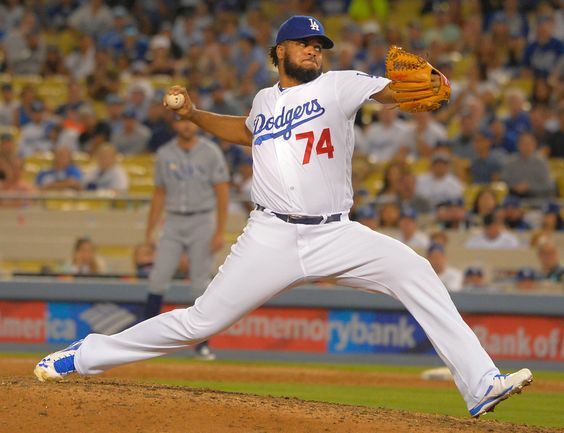 Dodgers trade A.J. Ellis to Philadelphia. The Dodgers have acquired catcher Carlos Ruiz and cash considerations from the Philadelphia Phillies in exchange for catcher A.J. Ellis, minor league pitcher Tommy Bergjans and a player to be named later or cash considerations. 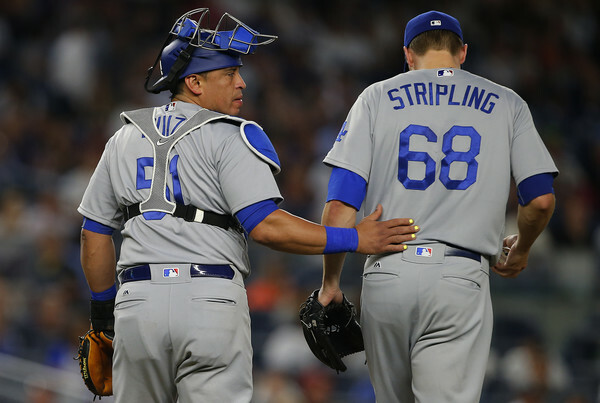 Ellis was the Dodgers’ longest tenured player, a product of the same 2004 draft class that yielded Matt Kemp and Chad Billingsley. Ruiz, 37, had a .261 batting average in 48 games for the Phillies this season. Read a full recap of the trade and Ellis’ comments here.